A power plant in Long Beach is located on land that has been subsiding for nearly 100 years. These years of subsidence have resulted in the plant being 25 feet below sea level. In order to keep the facility from flooding, constant dewatering of contaminated, highly brackish water is required. Feasibility testing was performed on a variety of treatment technologies, and Clear Creek found that non-chemical filtration with adsorptive media and a proprietary ion-exchange resin blend was the most economical solution capable of reliably meeting all discharge requirements. 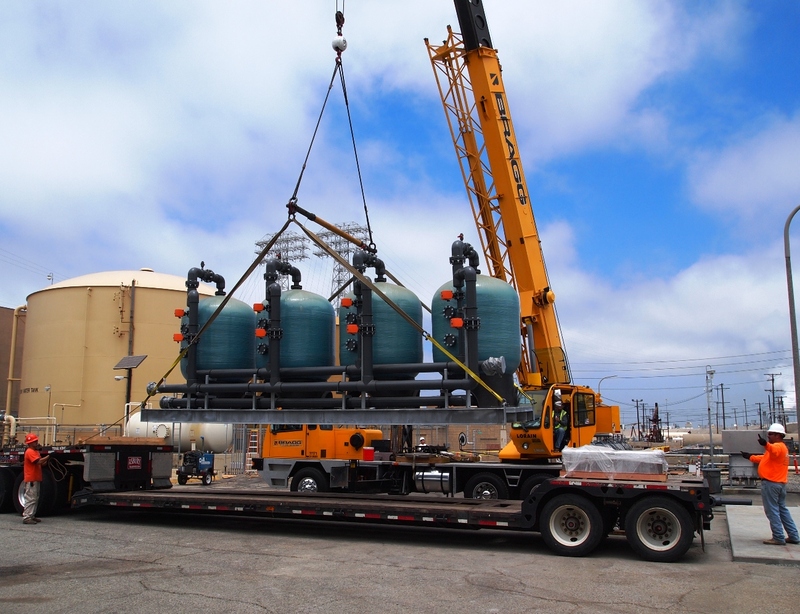 Clear Creek designed a treatment system around this approach that was quickly engineered, delivered, and installed, and all discharge requirements have been met since commissioning.